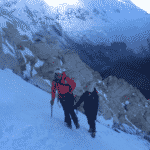 A 3-day crevasse rescue course in Cayambe ideal for beginners. 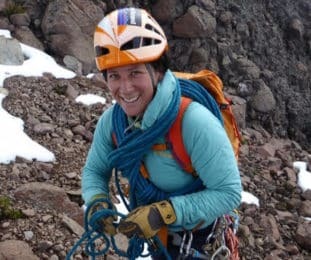 You'll learn the basis of ice climbing and your instructor will be Juliana, a prestigious IFMGA mountain guide from Ecuador. San Pedro de Cayambe is a city in the northeast of Pichincha, Ecuador. It is the head of the Cayambe canton which takes its name from the famous volcano. Undoubtedly, it is one of the best places to practice and learn new glacier skills as well as crevasse rescue procedures. This program I present today consists in a 3-day course in Cayambe. It is specially designed to share all my knowledge and expertise with you. The aim of this course is that you can develop well in all the mountains you’ll go. So, it is necessary to have a proper background of their lands, weather, their seasons and the effects of winds. Furthermore, it is also mandatory that you know how the glacier works and how to use the technical equipment. And the most important part, which are the safest maneuvers in a case of rescue. The proper use of the ice axe. 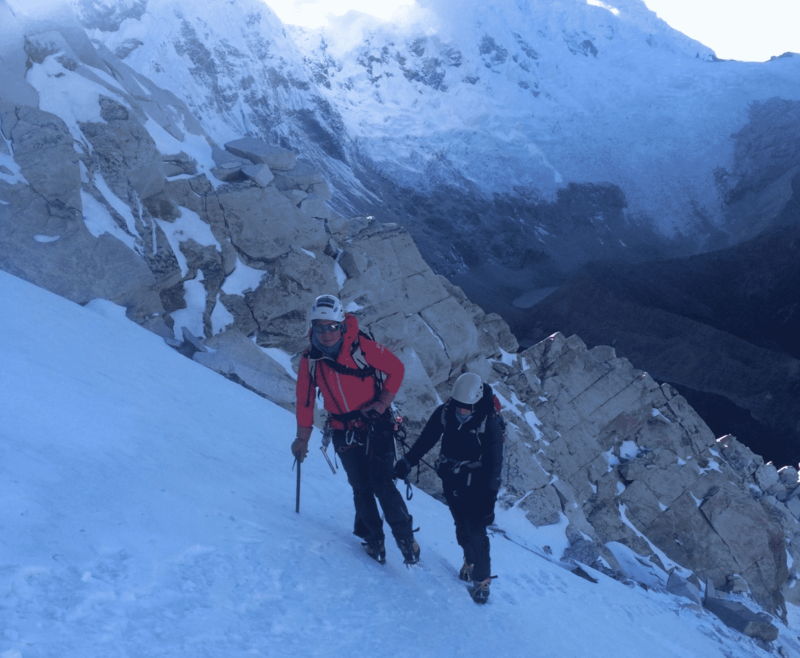 So, this 3-day course in Cayambe will give you all the tools you need to take your first steps into the ice climbing world. I think it is an excellent introductory opportunity for beginners as well as for experienced leaders who want to refresh some notions. This learning trip is available all year round and its cost will depend on the group size and number of participants. Finally, let me tell you that I am planning to extend this course in many other countries of South America. Therefore, you can contact me if you are in Perú, Bolivia and Colombia! The mountains have a lot of amazing things to teach us. It’s time to learn them! Contact me so we can plan your next ice climbing course. I will be happy to be your instructor. She is the president of ASEGUIM, Ecuador's guides association.